Thanks to all of our readers for sharing their best bargains on kids’ toys and clothing. 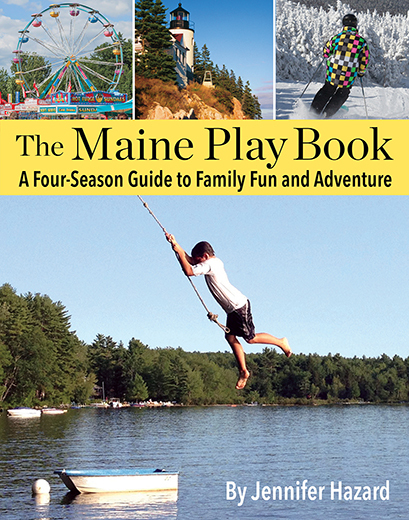 Our winner will be announced on Wednesday, along with a list of our favorite entries. 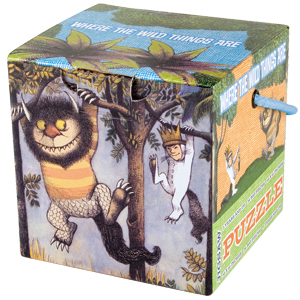 In the mean time, we spotted this Where the Wild Things Are 36-piece floor puzzle by Mudpuppy for $3.99 at Lots for Tots in Falmouth. The same puzzle retails for $10.00 online. Later that day, we were thrilled to find more Mudpuppy puzzles at the HomeGoods store in Scarborough, also for $3.99. We love these mini puzzles because they feature some of our favorite story book characters, like Lois Lenski’s Cowboy Small and David McKee’s Elmer. Plus the cute packaging includes a carry handle, making the puzzle a perfect holiday gift for toddlers.